Whatever went wrong in the air off Australia's west coast on Sunday, it started quickly and violently, and it did not stop for far too long. 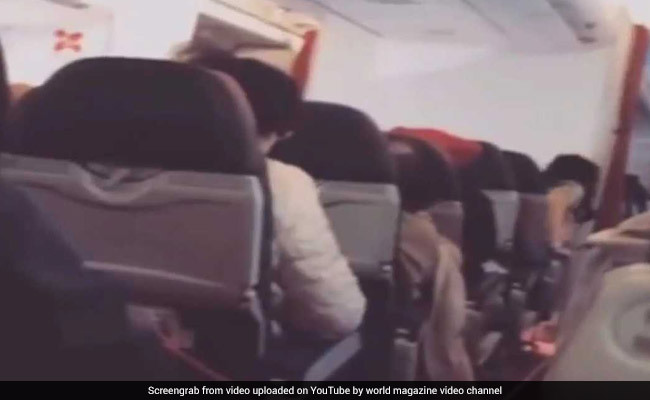 First, AirAsia X passengers told Perth Now and other outlets, there came a loud bang about 90 minutes into the flight to Kuala Lumpur. It woke some people up. Sophie Nicolas said it was an explosion on left wing, while Dave Parry remembered a strange smell wafting through the cabin. Then the shaking. Endless shaking, up and down the jet. "Like you were sitting on top of a washing machine," a passenger told the Australian Broadcasting Corporation. It lasted another 90 minutes, passengers reported - minutes full of tears, prayers and gallows humor as the rattling jet limped back toward Australia. Brenton Atkinson told the broadcasting station he looked out at the window and could see the engine rattling on the wing. Inside, seat backs shook like jello blocks. A deafening thud-thud-thud-thud soundtracks every cellphone video from the aisles. Some passenger gritted their teeth. Others just folded their hands and endured. A blade had sheared off an engine, the captain told passengers at one point, according to Perth Now. But AirAsia, which did not respond to The Washington Post, told Nine News Australia it had no reason to to think the plane had engine troubles - blaming the incident vaguely on a "technical issue." A spokesman for Perth Airport said much the same to The Post: "There was a plane that discovered a technical issue and returned." In any event, an early report from the loudspeaker could not have done much to reassure passengers. "Please listen to everything," a man said. "Our survival depends on your cooperating. Hopefully everything will turn out for the best." Those first minutes were among the worst, some passengers reported. "I was crying a lot," Sophie Nicolas told Australia's ABC. "A lot of people were crying, trying to call their moms and stuff. But we couldn't really do anything. Just wait and trust the captain." The captain asked everyone to pray, Nicolas told Perth Now. "I'll be saying a prayer, too," she recalled him saying. Less than three years earlier, another AirAsia flight crashed into the Java Sea and killed everyone on board, the result of a faulty rudder control system. But if any of the passengers on Sunday's flight remembered that, they did not recall it in their interviews. At the captain's request, Perth Now reported, some passed the time keeping an eye on the left engine in case something else went wrong. After a while, a sense of quasi-normalcy returned to the jittery flight. In one video, a man casually walks down shaking aisles. In another, two Australian men grin for motion-blurred selfies. "Not great, not amazing," says one, his voice muffled by the thumping. "We're having 50 million beers when we get back." As the plane rounded back on Australia, police stood by for a possible water landing, according to Nine News. For two full minutes of descent, CNN reported, passengers held the brace position - heads forward, unable to see if the plane was going to make it. When it did, a passenger told CNN, passengers erupted in applause and later shook the pilot's hand. "I still arrive!!!" someone posted on Instagram. "Thank you God!!!" The shaking was over then. No one was reported injured. Now to wait for explanations.